This is a stunning onyx necklace which is a half circle and so has a unique look! 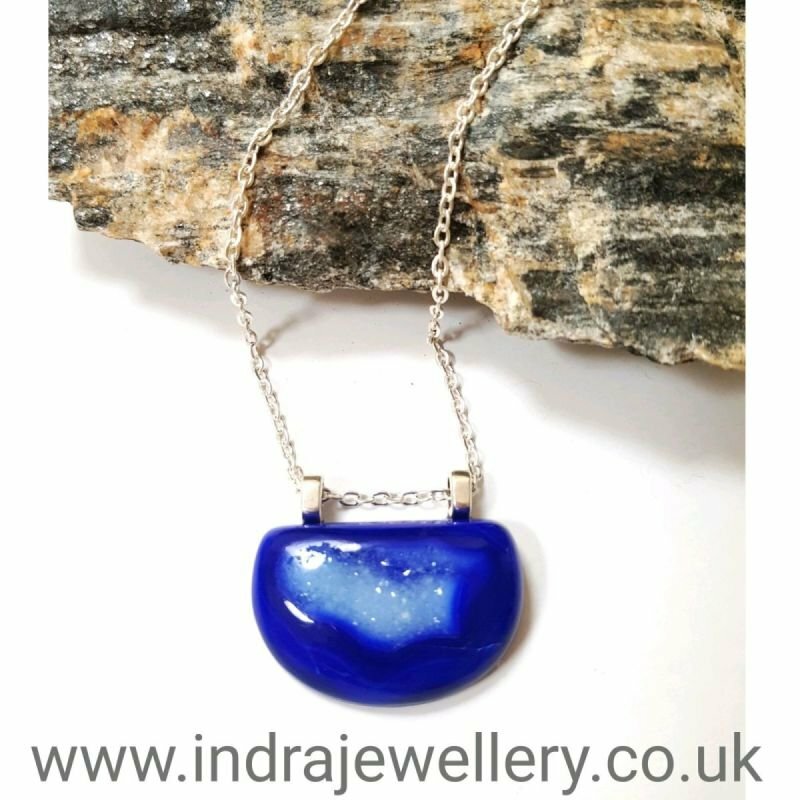 The onyx is a stunning deep blue and because it is a druzy the internals of the stone are partially exposed giving this stone an extra sparkle! I have attached the stone to a 16" silver plated chain with a lobster clasp.